Our Body Treatments are performed on a massage table. The use of the client’s own shower to rinse off in between treatments is recommended but heated wet towels can be used. 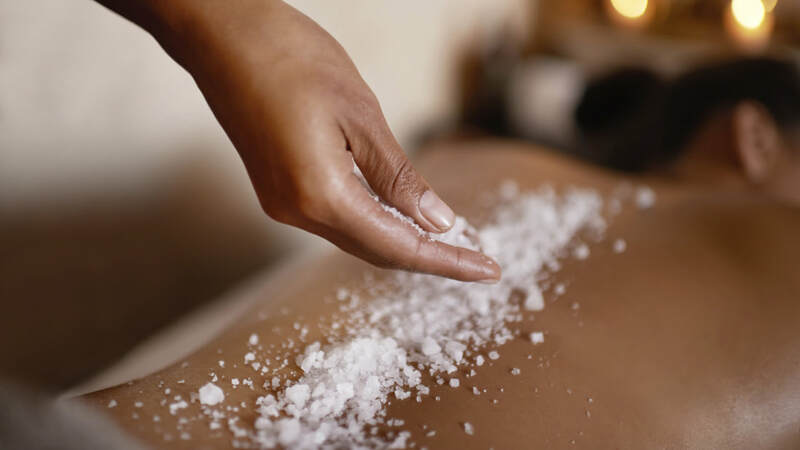 Each relaxing and nourishing body treatment offers custom specifications for the individual client’s needs. Experience the deep cleansing action of a sea salt exfoliation. This re-mineralizing treatment will leave your skin silky soft and nourished.